103 min [ Knowing what you know now, what would you do differently? ] 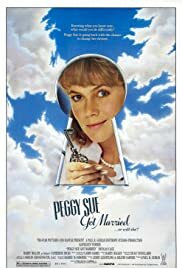 - Peggy Sue faints at a high school reunion. When she wakes up, she finds herself in her own past, just before she finished school.